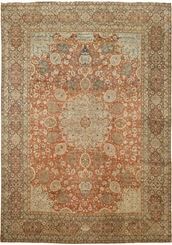 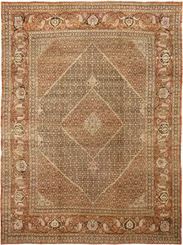 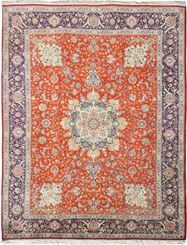 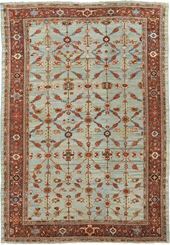 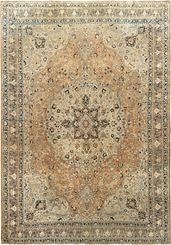 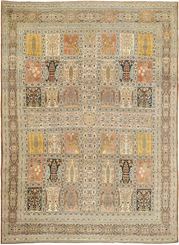 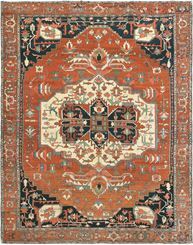 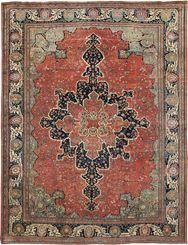 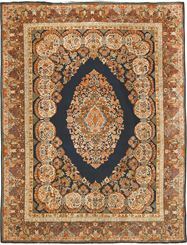 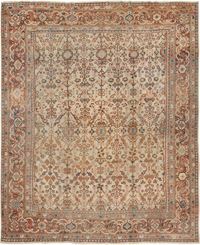 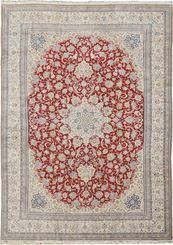 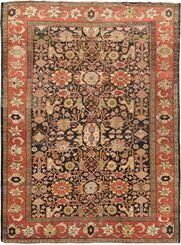 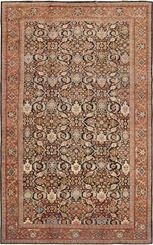 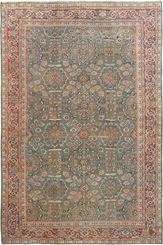 The weaving of art level carpets in the Persian empire began towards the end of the 15th century. 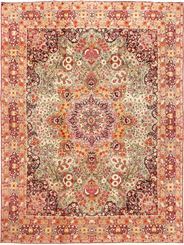 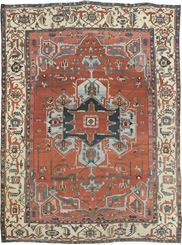 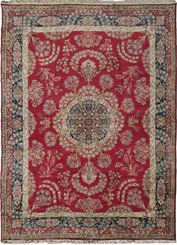 Persian rugs and carpets are known for their high quality wools and silks, fine execution of designs and incredible interpretations of color. 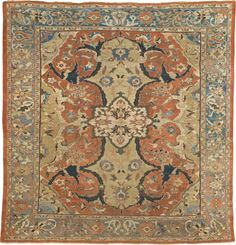 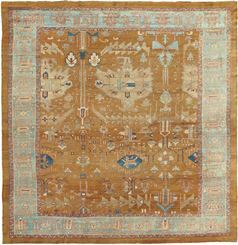 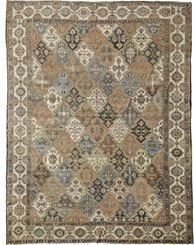 Silk carpets worked with gold and silver threads were prized by Persian and foreign nobility alike, with many pieces finding their way to the princely homes of Baroque Europe. 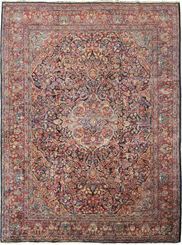 Today, most 16th and 17th century masterpieces are decorated in both private and museum collections around the world. 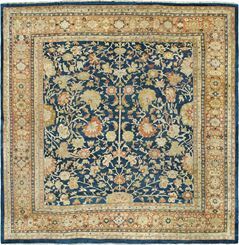 The collapse of the Safavid dynasty in the early part of the 18th century interrupted weaving centers around the country. 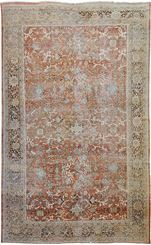 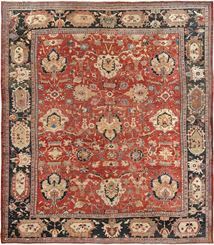 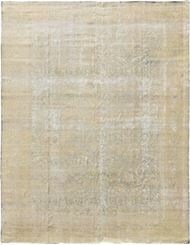 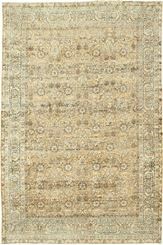 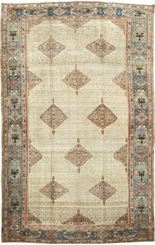 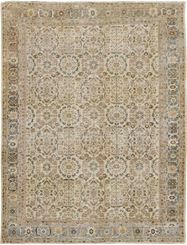 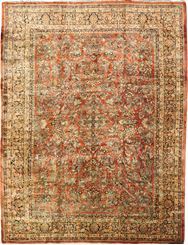 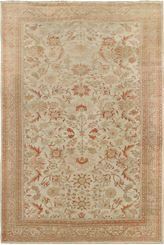 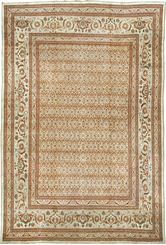 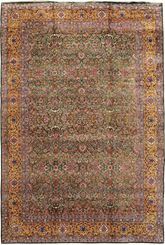 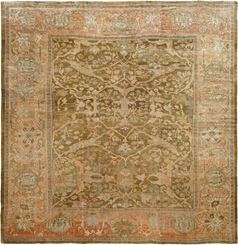 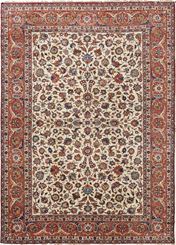 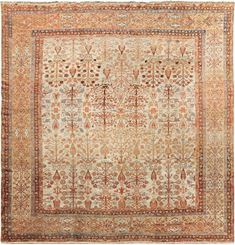 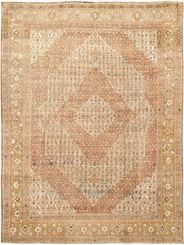 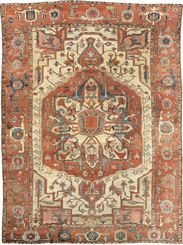 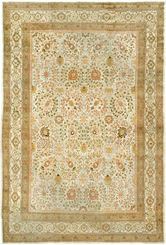 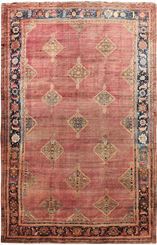 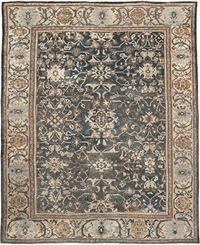 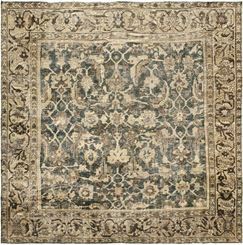 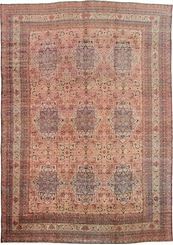 Since few examples have been preserved, less is known about carpet production in that period. 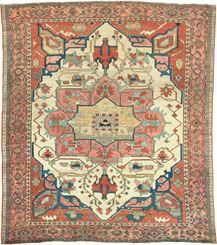 In 1796 the Qajars set about the reunification of the country and established their capital in Tehran. 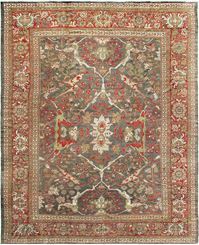 A new period of prosperity began with a renewed interest in the arts. 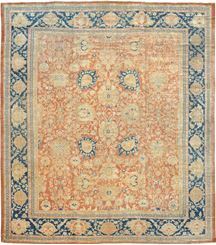 The carpet industry gradually grew into a much larger scale of production around the country. 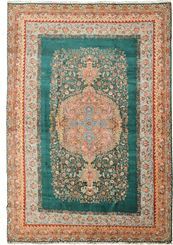 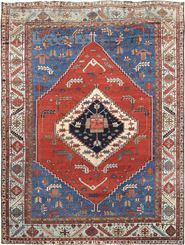 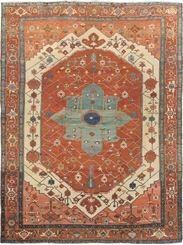 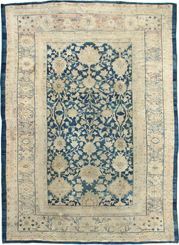 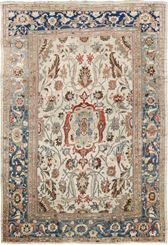 The rug renaissance of the 19th century played an important role in Persia, with the largest collection of weaving centers in the world. 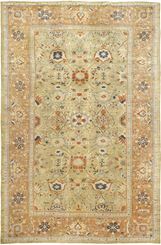 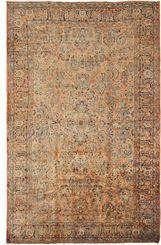 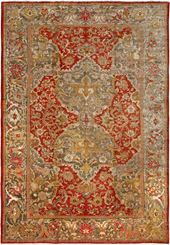 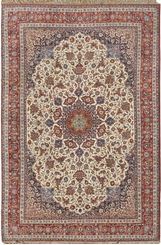 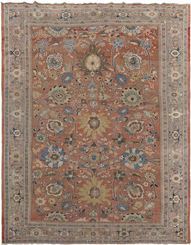 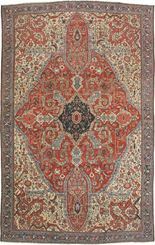 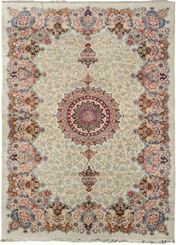 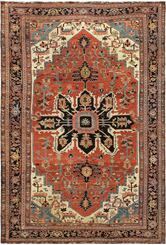 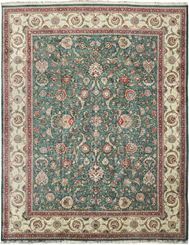 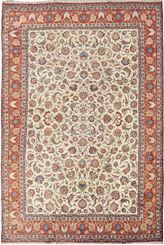 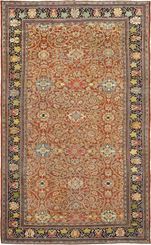 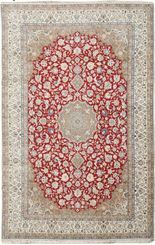 OLD SAROUK 11' 8" x 17' 5"
OLD ISFAHAN 11' 6" x 17' 2"
ANTIQUE TABRIZ 11' 4" x 16' 0"
OLD SAROUK 11' 0" x 17' 5"
OLD KASHAN 11' 0" x 16' 5"
ANTIQUE TABRIZ 10'9" x 13'6"
ANTIQUE TABRIZ 10' 8" x 14' 0"
ANTIQUE TABRIZ 10' 7" x 16' 0"
OLD KASHAN 10' 6" x 15' 0"
ANTIQUE TABRIZ 10' 4" x 15' 8"
OLD SAROUK 10' 4" x 13' 5"
OLD SAROUK 10' 3" x 13' 3"
OLD SAROUK 10' 2" x 13' 6"
OLD KASHAN 10' 2" x 14' 3"
OLD ISFAHAN 10' 2" x 16' 2"
OLD NAIN 10' 1" x 15' 9"
OLD NAIN 10' 0" x 13' 9"
OLD KERMAN 10' 0" x 13' 6"
OLD ISFAHAN W/SILK 10' 0" x 14' 0"
OLD ISFAHAN 10' 0" x 14' 0"
OLD TABRIZ 10' 0" x 13' 0"
OLD TABRIZ 10' 0" x 12' 8"
ANTIQUE TABRIZ 10' 0" x 14' 2"